We haven’t updated our cloud mining progress report for a while now, so we have decided to write down our latest impressions form the services we are currently testing or have tested already. And with services such as MarketsCX and Bit-Mining disappearing, creating a lot of trust issues with other and especially with newer cloud mining services it is good to give an overview based on our own experience. The biggest concern with most cloud mining services is if they are here to stay and will not take away your coins or money and run away with them. Especially true with new services that have just launched and the way they run and the information they provide raises some concerns. That is why we do recommend to always do some research and start small should you decide to test a new cloud mining service and be very careful, unless you are sure to be investing in an already proven and established service. CexIO is probably the oldest and biggest Bitcoin cloud mining service, no concerns there, though our experience has shown that it is good mostly for trading GHS/BTC and long term investment in Bitcoin cloud mining hashrate does not work that well. The service does plan to launch Litecoin cloud mining as well, but it is still not available, though they have been expanding the list of services they have such as adding Scrypt mining pools as well as introducing a trading fee on their exchange and adding future cloud mining contracts for trading. Currently the price of 1 GHS worth of Bitcoin cloud mining hashrate is around 0.0069 BTC and near the end of this month it should most likely go below 0.006 BTC judging from the current FHM trading price. 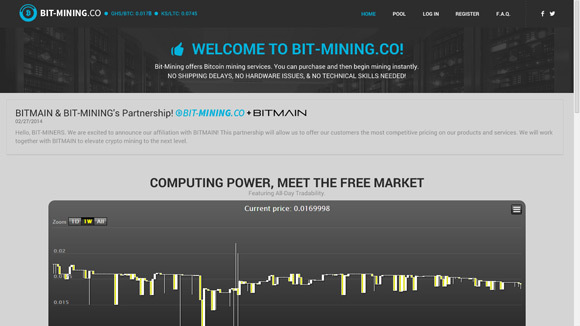 PBMining is a Bitcoin cloud mining service intended for long term investment as there is no exchange where you can buy/sell the purchased hashrate at any time and you buy a 5 years long mining contract. 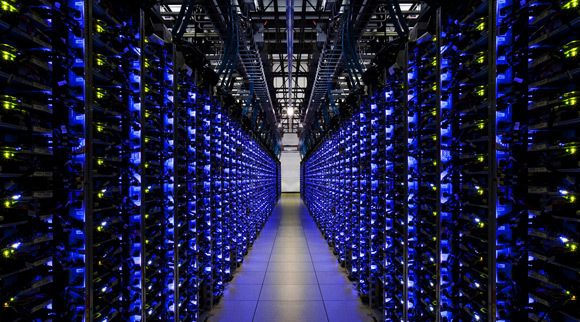 The service has probably the best prices per GHS for BTC cloud mining hashrate and this along with the 5 year contract makes a lot of people concerned and we were a bit concerned as well initially. However the fact that we’ve been using PiggyBack Mining for almost 3 months already and we didn’t have any problem and were always getting our weekly payouts on time we are not that concerned about them anymore… especially comparing to the bad experience we’ve had with other services that are no longer available. Currently the price per 1 GHS is 0.005 BTC per GHS and the price gets down usually every difficult increase of the Bitcoin network. Cloud Hashing is a Bitcoin cloud mining service that has been available for some time and seems to be a very serious one according to what they claim (3.79 PHS total hasrate). The service has own dedicated pool and you get control over the workers you have via a web-based dashboard depending on the mining contracts you have purchased. The only drawback of this service is the not so attractive price they have for the hashrate that you can purchase in the form of a 1 year contract. You are not able to purchase minimum of 30 GHS and they are a bit expensive at $299 or 0.69 BTC (0.023 BTC per GHS), so not easy to test the service with a very low investment before deciding if it is worth to invest more. After all everything that a miner wants to get is profit when investing in either Bitcoin mining hardware or in cloud mining services and the numbers here don’t look so good. The fact that the price for the cloud mining packages offered does not adjust with the change in difficulty does not help either. 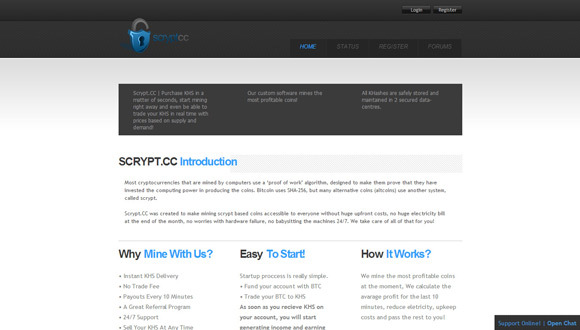 ScryptCC is the first Litecoin cloud mining service that we’ve tried a while ago and we were very excited about it at first, but were not very satisfied by the level of support we were getting – very slow response to issues. Though things seem to have been improving the fact is that this is the only more serious Scrypt cloud mining service that remains after others such as MarketsCX and Bit-Mining have disappeared. The service is apparently using GPUs making it harder to add additional hashrate and thus the prices are mostly depending on the trading going on between users. Currently the lowest price of 1 KHS worth of Litecoin cloud mining hashrate is available for 0.000719 LTC and when we started testing it about three months ago it was pretty much double that price.